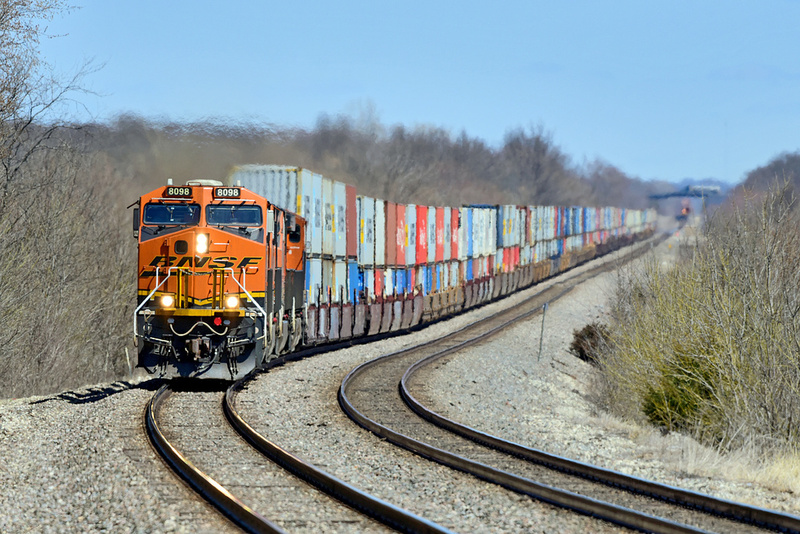 BNSF 8098 West leads a container train to KC on Main 1. From my position at the Mike Road crossing, the Route 11 highway bridge in the distance is 2.75 miles/4.5 kilometers away. Thanks, Everyone, for all your Likes!